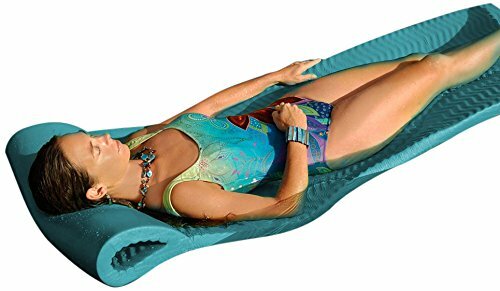 The Pool Mate X-Large foam mattress swimming pool float is made from high-quality, durable, vinyl- coated foam. It's easy to clean, long-lasting, cool ripple texture has a sparkling finish and provides maximum comfort. 70” L x 26” W x 1.5” thick.